Kuala Lumpur, 30 October 2014: Sweden’s Rikard Karlberg brilliantly surged into a two-shot first round lead at the US$7 million CIMB Classic after firing a bogey-free seven-under-par 65 on Thursday. The 27-year-old became the first Asian Tour player to hold the lead in the five-year history of the prestigious tournament, thanks to an outward 31 which included a chip-in birdie on the eighth hole at the Kuala Lumpur Golf and Country Club’s West course. Angelo Que of the Philippines, who is a three-time Asian Tour winner, American duo Billy Hurley III and Brian Stuard are tied second in the event sanctioned by the PGA TOUR and Asian Tour. Defending champion Ryan Moore of the United States birdied his last four holes for a 68 for a share of fifth place with amongst others Prom Meesawat of Thailand, Major champion Davis Love III and former Asian Tour number one Noh Seung-yul of Korea, who was victorious at the West course in 2010. “My putting was great after a hot start and then it was a little bit so-so,” said Karlberg, who is a two-time Asian Tour winner. After struggling with a virus infection for over a year, the 2010 Asian Tour rookie of the year knows he must dig deep to stay ahead of the pack for a chance of winning his biggest career victory. “I’ve been struggling with a virus infection where I get the flu symptoms. That gets you a little bit stressed out and I realised that I can’t really do anything about it. Just try to eat as good as I can, at least that’s what the doctors say,” explained Karlberg, who finished tied fifth here at the Malaysian Open in April. The flamboyant Que, one of the most colourful characters on Tour, continued his hot form in a round that included seven birdies. The Filipino qualified for the CIMB Classic after finishing second at the Hong Kong Open a fortnight ago. “I’m trusting myself where back before every time I’m teeing up, I’m still debating what to do, what kind of shot I’m going to hit. These past few weeks, I’ve just been stick to my game plan and every time I have a shot, I commit to it, trusting it,” said Que. Defending Champion, Ryan Moore of United States. Starting from the 10th hole, title holder Moore was level-par through 14 holes but was rewarded for his patience when he ended day one with four birdies including a 25-footer on the ninth green. “I wasn’t hitting bad shots. They just weren’t quite turning out, and I missed a couple of greens in a couple of tough spots, and sometimes making good up-and-downs and par savers are almost more important than making birdies,” said Moore, who won the event in a dramatic Monday play-off last year. The 50-year-old Love turned back the clock after following a round of four birdies and two bogeys. His highlight of the day was a twenty footer eagle on the par five 10th hole. “You know, and I was off for a couple of years. I wasn’t playing well, and I was physically wasn’t ready to play with my injury, and then trying to come back from that injury, I think my confidence was just not there 18 holes a day. It’s there about 14. I hope I can just keep working on that and doing positive,” said Love. 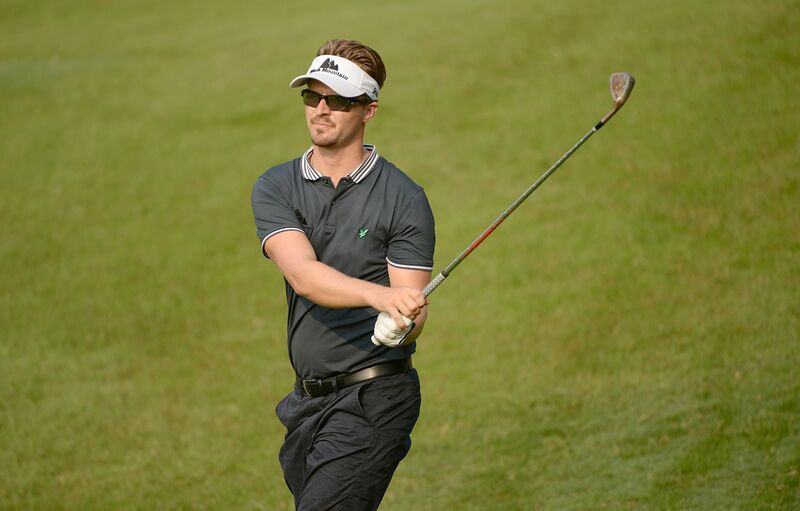 65 – Rikard Karlberg (SWE). 67 – Billy Hurley III (USA), Brian Stuard (USA), Angelo Que (PHI). 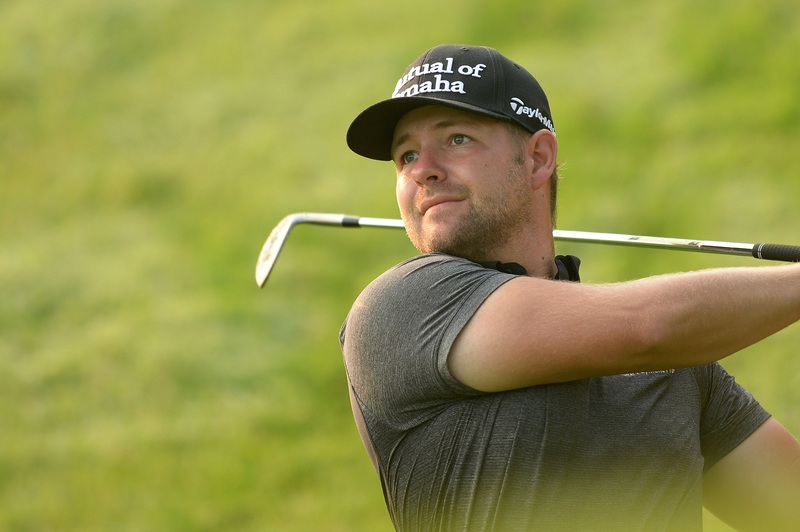 68 – Tim Wilkinson (NZL), Ryan Moore (USA), Kevin Streelman (USA), Davis Love III (USA), Seung-Yul Noh (KOR), Jeff Overton (USA), Prom Meesawat (THA), David Lingmerth (SWE). 69 – Ryo Ishikawa (JPN), Scott Stallings (USA), Sergio Garcia (ESP), Kevin Na (USA), Jonas Blixt (SWE), Danny Lee (NZL), Matt Every (USA), Will MacKenzie (USA), Kevin Chappell (USA), Nicholas Thompson (USA). 70 – Rory Sabbatini (RSA), Patrick Reed (USA), Chris Stroud (USA), Cameron Smith (AUS), Hideki Matsuyama (JPN), Jonathan Byrd (USA), Brice Garnett (USA), Brendon de Jonge (ZIM). 71 – Brian Davis (ENG), Gary Woodland (USA), Steven Bowditch (AUS), K.J. Choi (KOR), Michael Putnam (USA), Sang-Moon Bae (KOR), Heath Slocum (USA), Ricky Barnes (USA). 72 – Morgan Hoffmann (USA), Lee Westwood (ENG), Pat Perez (USA), Troy Merritt (USA), Charlie Wi (KOR), Antonio Lascuna (PHI), Tim Clark (RSA), Billy Horschel (USA), John Senden (AUS), Jason Knutzon (USA).